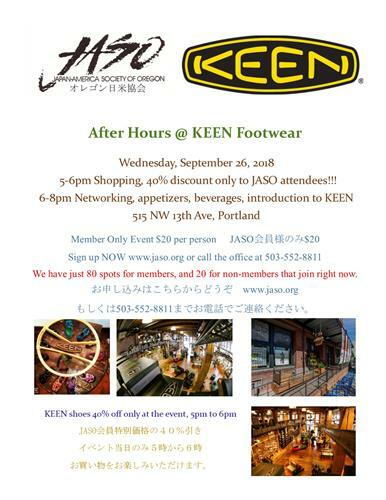 $40% off all shopping at KEEN for attendees ONLY, great food, networking, beer and wine from 6-8pm. Hear about KEEN's investment in Japan and how Asia today drives US fashion tomorrow. Join 100 like-minded business professionals, bring a ton of business cards, widen your knowledge of the US-Japan business relationship, and where opportunity may lay.